If you’re not familiar with the term ‘dump dinner’ you’re missing out. Like a dump cake, you basically throw all of your ingredients in a dish, in this case, a slow cooker, and you just walk away until it’s cooked! And now you have a delicious dinner, with minimal effort and minimal mess. What’s not to love? Dump dinners are perfect for busy nights when you don’t want to spend too much time in the kitchen after a long day at work or running errands. 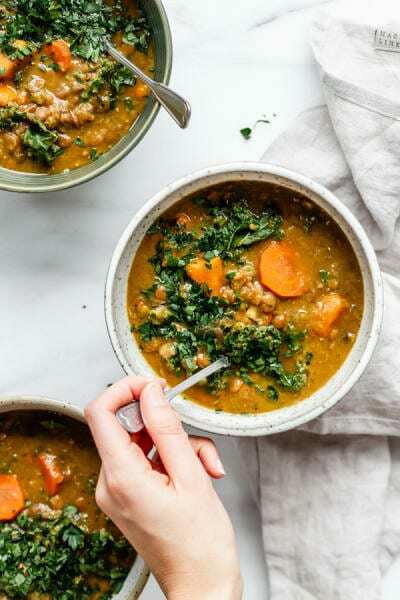 All you need to do for these 40 scrumptious, yet nutritious, meals is toss everything in the slow cooker – and take a load off while the smells of a yummy dinner fill your home. Your family is sure to love every one of these! Head to the next slide for the first delectable recipe. Getting kids or picky eaters in the household to eat healthy can be quite the chore. But when the food tastes delicious, you can often disguise the ‘healthy’ ingredients with flavors they are familiar with. 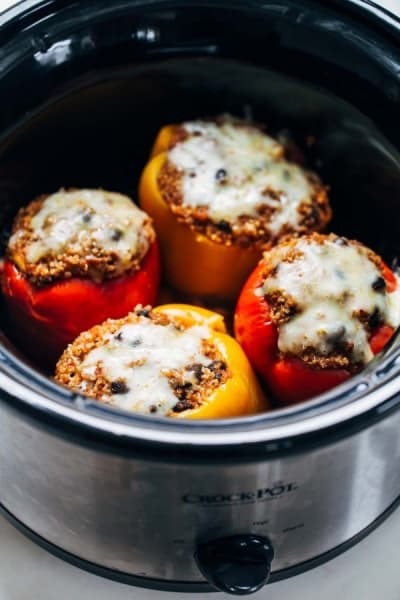 This stuff pepper recipe by Pinch of Yum is packed with delicious flavor and lots of vitamins. They come out tender, sweet, and savory with a bit of cheese on top. Head over to Pinch of Yum for the recipe. This is one of those meals that will taste like you’ve been spending hours slaving in the kitchen when really, you’ve hardly lifted a finger. These creamy chicken sandwiches are going to make your family so happy. The Cookie Rookie has the simple recipe that will soon be your family’s favorite. For the adults in the house, add a little basil, parmesan, and sun-dried tomatoes for an extra punch of flavor. This chicken recipe is sure to be a hit with the kids. 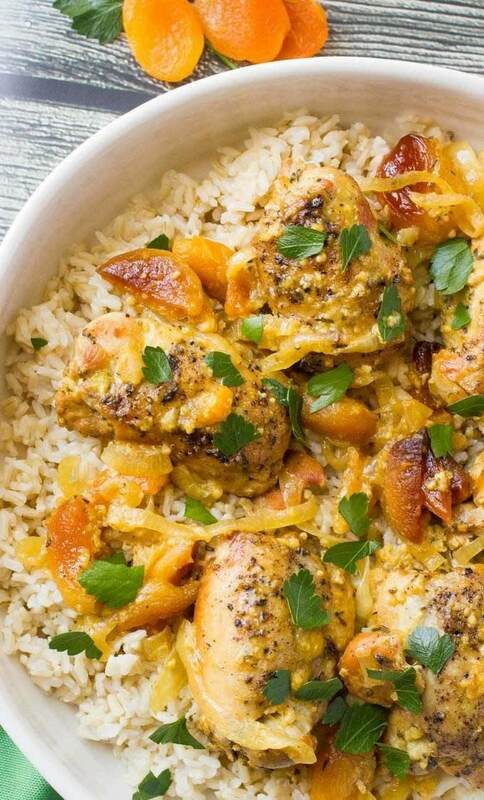 Thanks to the cup of dried apricots that go into this dish, the chicken comes out tasting perfectly sweet. Just toss the ingredients in, let it cook, then scoop out over some rice and you have a wonderful well-rounded meal. The recipe can also be followed by omitting the apricots for a less ‘fruity’ dinner. Head over to Family Food On The Table to get the recipe. Here’s another great dish that features fruit as an ingredient. The mango salsa along with coconut rice adds a tropical element that is a sure-fire tastebud pleaser. Add some avocado and lime and you’ll feel like you’re dining in a restaurant in the Caribbean. Cooking Classy has the easy-to-follow recipe here. 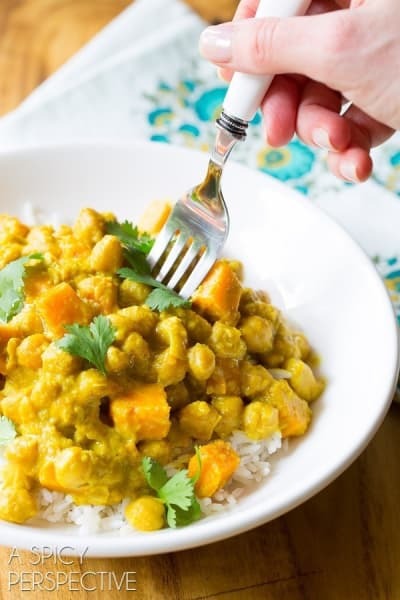 Since we’re on a fruit kick – why not test out making some coconut curry for the family? This meal is packed with veggies, vitamins, and protein making it a very well-rounded meal that your family will drool over. You’ll just need to do a little prep with cutting some veggies, but then you can go relax and watch your favorite TV show. Head over to Tasty.co to see how simple and fast it is to make. Have you been craving Chinese food but don’t want to wrangle the entire family up to go out to a restaurant? We have the perfect solution for you that is tastier than anything you could order at a restaurant. And all you need is your slow cooker. 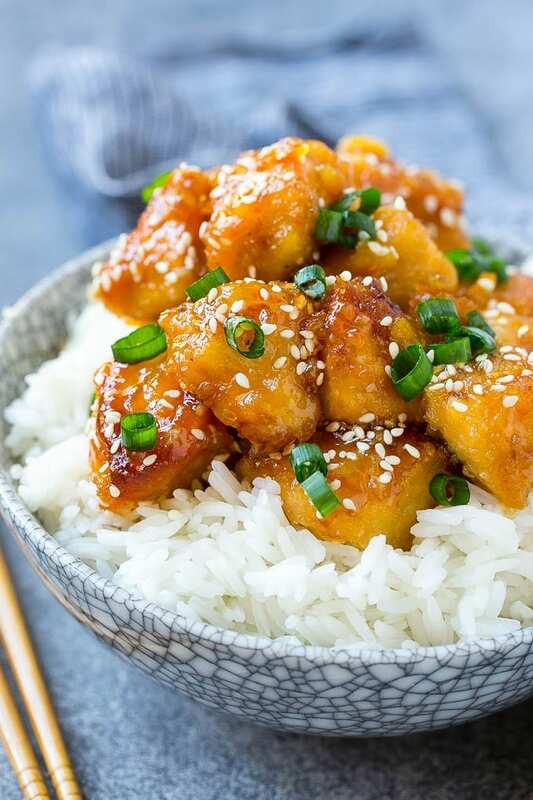 Visit Dinner At The Zoo for this sweet and savory recipe that will have you cooking Chinese at home from now one. Now that you have a Chinese food recipe in your arsenal, why not add a Mexican one next? Because who doesn’t love Mexican food? This is a super simplified version of the south-of-the-border favorite without all the hassle. Just scoop into a tortilla and you have a delicious dinner! Cooking Classy has the full recipe for you. Drumsticks are often a kid favorite and the best part about eating them at home is that you can toss the kiddos right in the bath afterward! 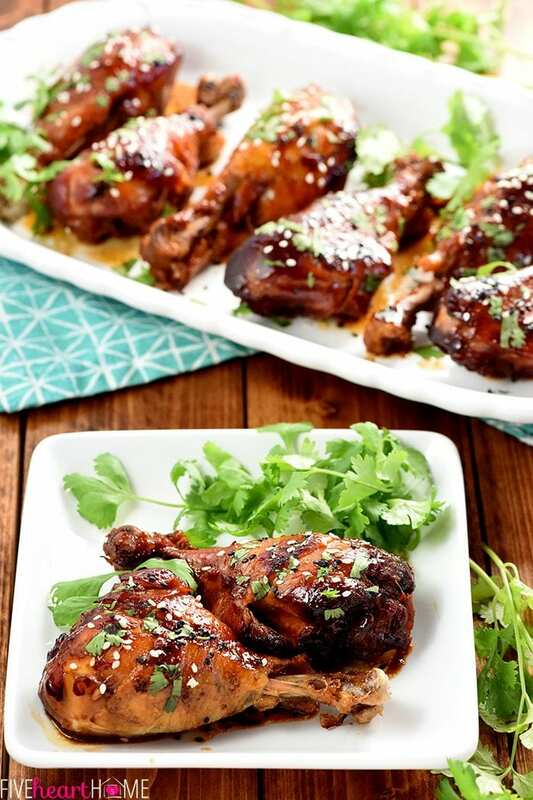 This chicken drumstick recipe can all be done in your slow cooker and offers a sweet flavor with a little bit of a kick. You could always omit the chili if anyone is sensitive to spicy foods. Five Heart Home breaks down how to make these savory drumsticks on their website. 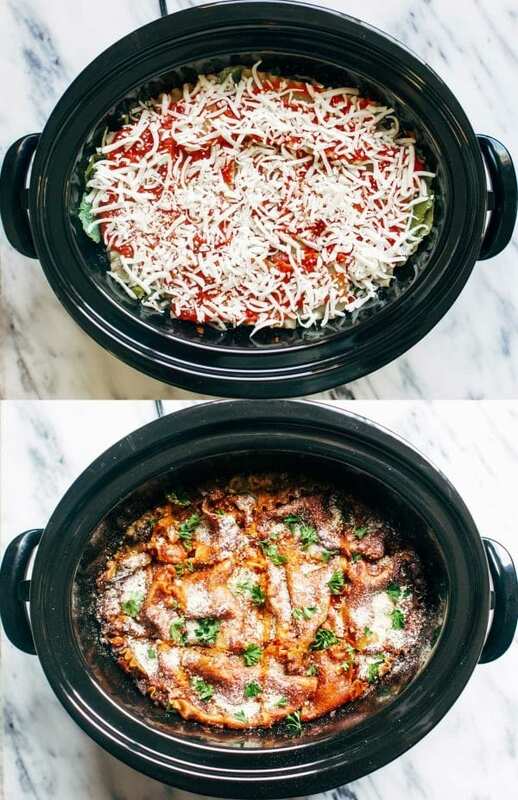 If you’re feeling ultra-lazy then this slow cooker meal is a godsend. It’s extremely easy to make and it’s also a super hearty soup with lots of veggies, protein, and other nutrients. Of course, it tastes great too! With just ten minutes of prep, you’ll have a filling meal to come home to after work. Head to Choosing Chia for the recipe. “If you’re searching for the best dang crock pot pulled pork recipe, you’ve got it! 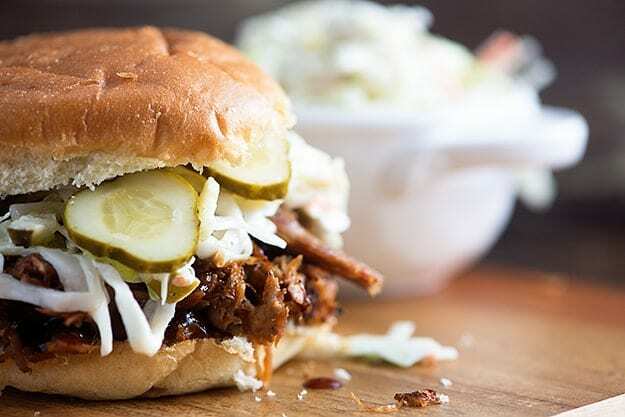 My pulled pork rub adds a ton of flavor and the recipe is perfect for an easy weeknight meal!” Buns In My Oven says on their website about this All-American recipe. Sounds good to us! 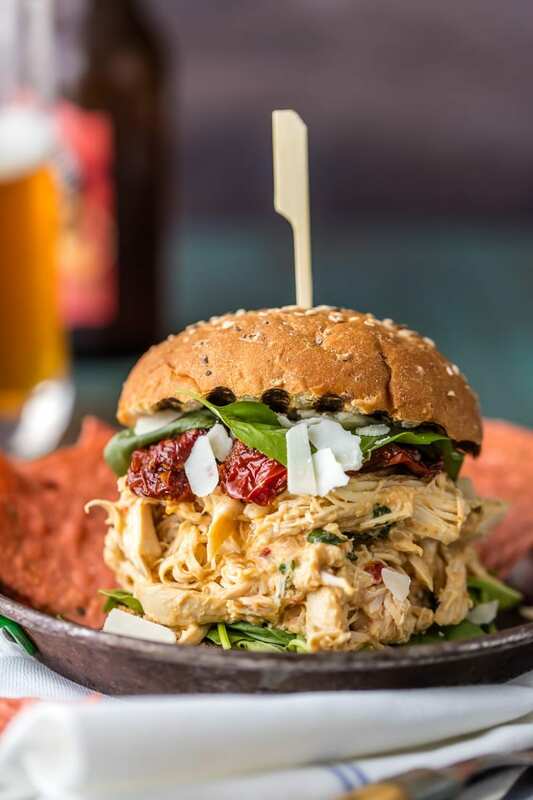 If pulled pork is something you’ve been craving – check out the recipe over at Buns In My Oven. 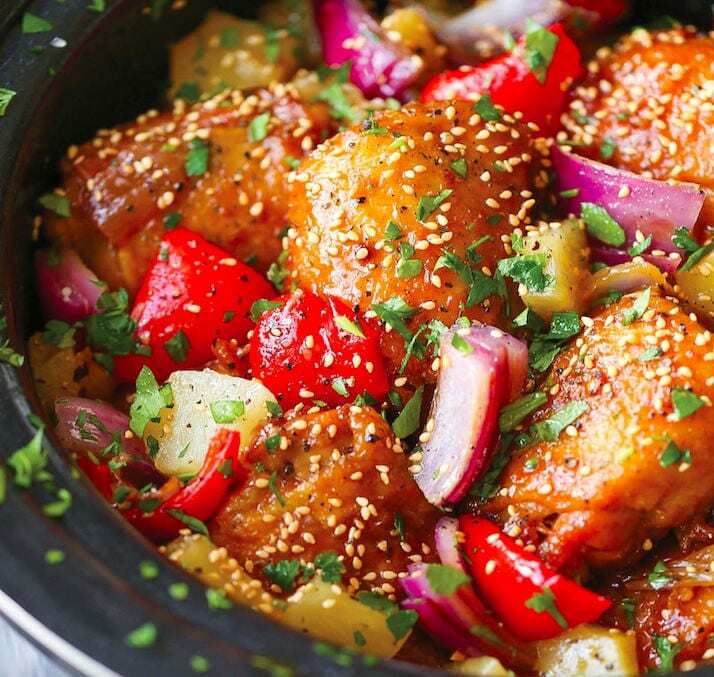 If orange chicken isn’t your thing – maybe pineapple chicken would tickle your fancy. Here’s another recipe featuring sweet and savory flavor combinations that are packed with vitamins and nutrients. 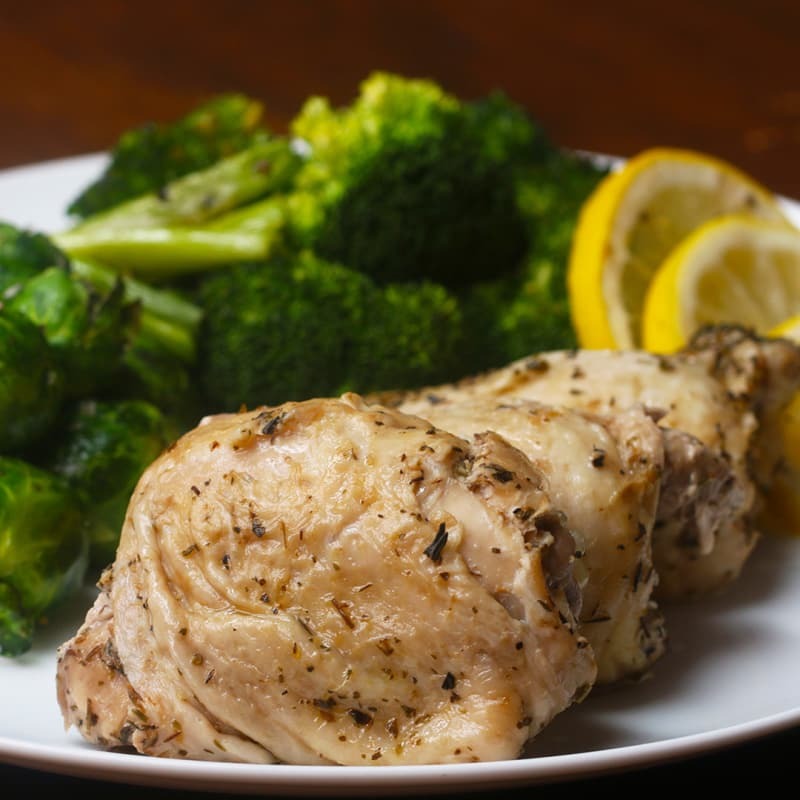 Scoop the chicken over some rice or steamed veggies to make it a complete meal. Damn Delicious has the recipe for you. 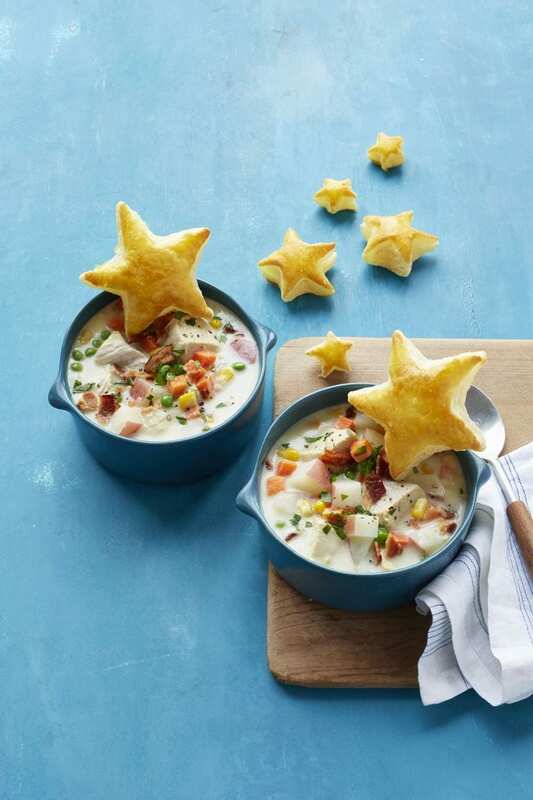 Nothing is better than a creamy bowl of hearty soup on a cold night – especially if that soup is topped with cheese and bacon! 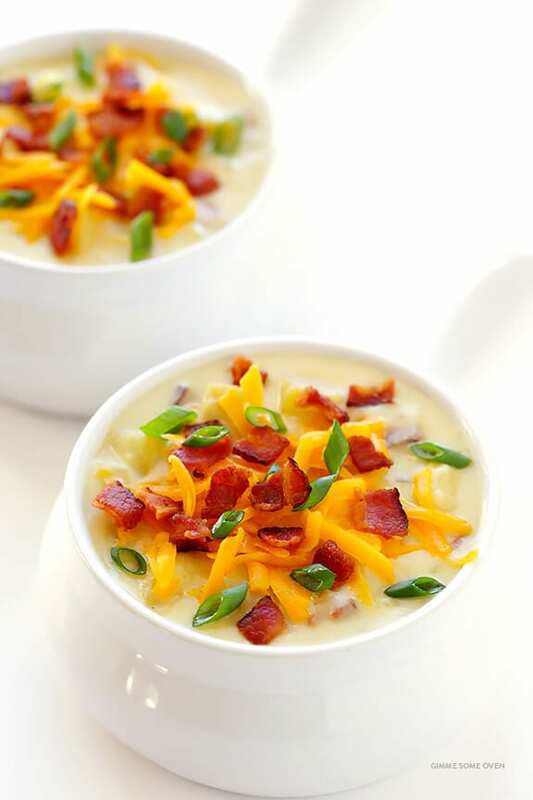 Basically a loaded baked potato in a bowl, this soup is going to be a hit even with the pickiest of eaters. Gimme Some Oven has the full recipe, along with a video tutorial. If you’re looking for a simple yet yummy protein and veggie type of meal – this will be your new go-to. It’s a healthy and tasty dinner that is great for family meals or dinner parties – and you hardly have to lift a finger to make it! Just set it all up before you leave for work, then come back to dinner ready to serve. 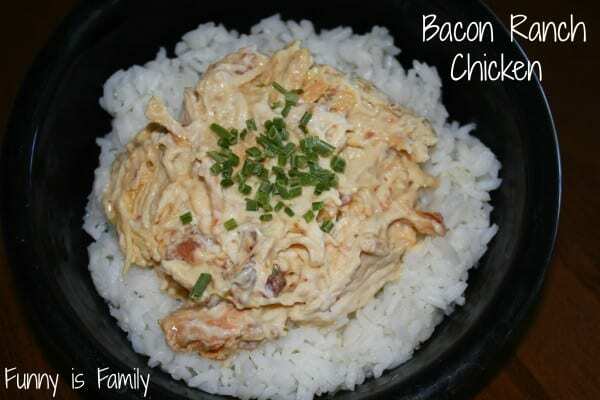 Head on over to Slow Cooker Gourmet for the recipe. If creamy and delicious is something you’re into – this recipe is the only one you need. It takes just minutes to prepare and it is ready to serve over some noodles for an instant family favorite. 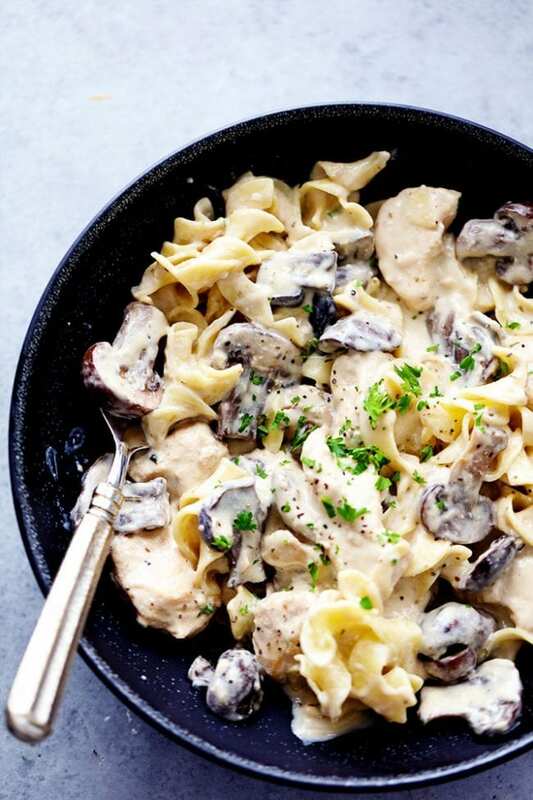 If the kids don’t like mushrooms – you can always omit them. The Recipe Critic has this recipe for you. 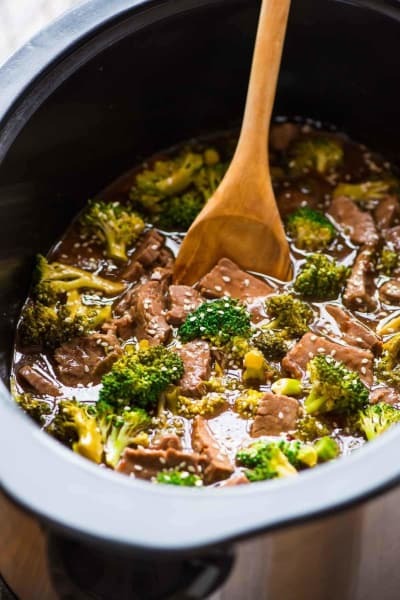 “Slow Cooker Beef and Broccoli is an Asian dish that is super easy to make, and so much better tasting than take out. Everything cooks right in the crock pot, even the sauce. My family LOVES this easy beef and broccoli recipe – it’s one of my best crockpot recipes for Asian takeout at home!” Well Plated says on their website. Head to Well Plated for the full recipe. Kids like soup. Kids like nachos. Why not combine the two for a meal that will have your kids asking for a second serving?! 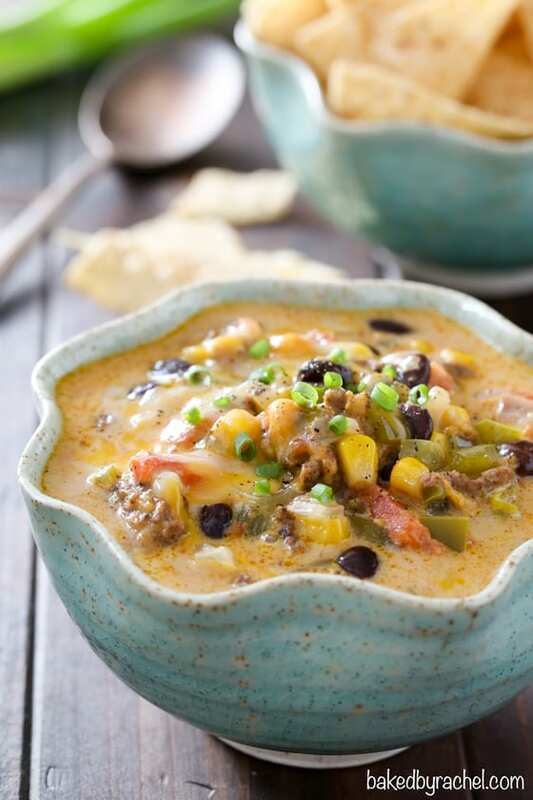 This flavor-packed cheesy beef nacho soup is so comforting and perfect for a weeknight meal when you’re too busy to cook. It’s so satisfying and hearty. Baked By Rachel has a super simple recipe for you to follow. Soup, soup, and more soup! After all, isn’t that what slow cookers are great at? Plus, when making soup, you often have leftovers making it a multiple-night meal! 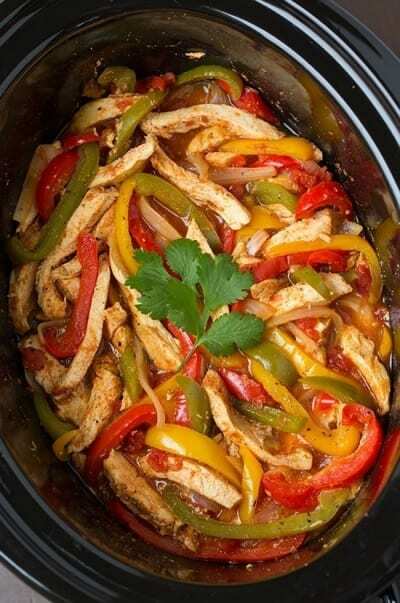 This crockpot recipe really couldn’t get any easier and the flavors of chicken and rice are always a crowdpleaser. 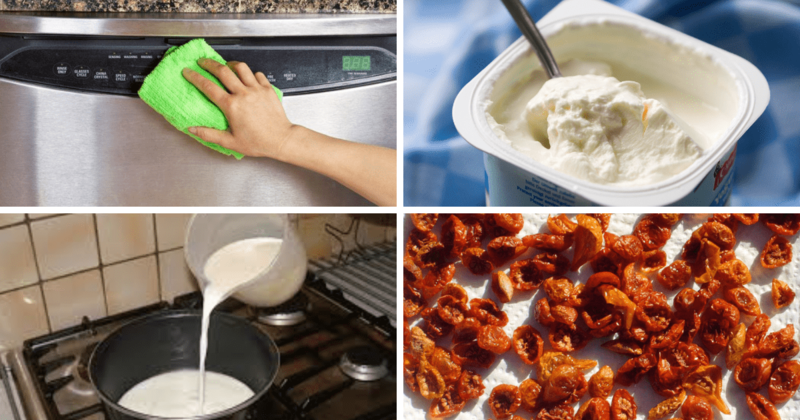 Kristine’s Kitchen Blog lays out all the details for you in her recipe. Ten minutes is all you’ll need to prep this melt-in-your-mouth meal. Just toss all the ingredients in and let the slow cooker work its magic. After a few hours of cooking, the chicken comes out so juicy and so tender! Just ladel over some rice or some steamed broccoli and you’re good to go. Chef Savvy has the recipe for you. 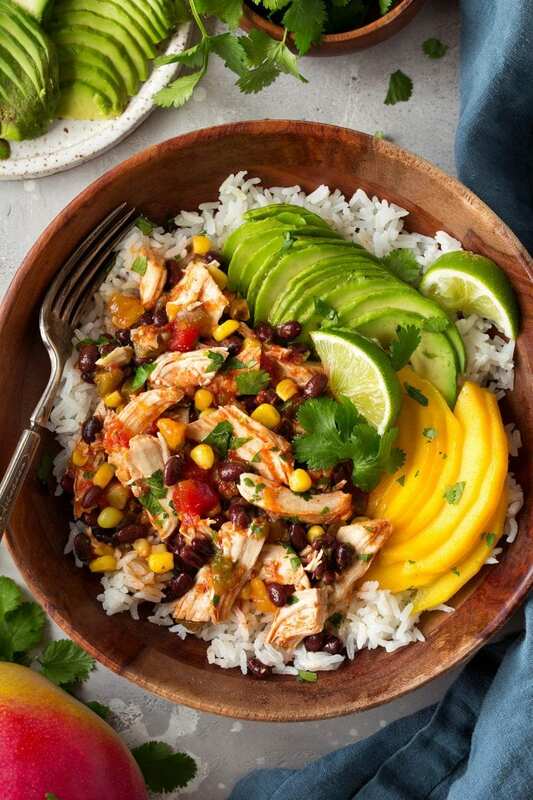 This Mexican-inspired slow cooker meal is comfort food in a bowl. You can keep the calories and fat down in the meal by using ground turkey instead of beef or pork. This delicious meal is also gluten-free! Try it out next time you’re having a Taco Tuesday night. 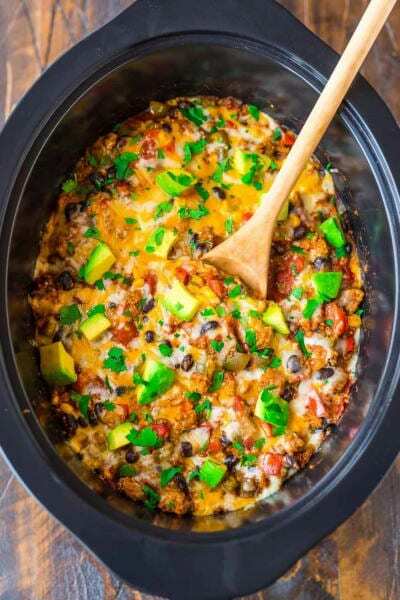 Well Plated shares their perfect slow cooker Mexican casserole recipe here. 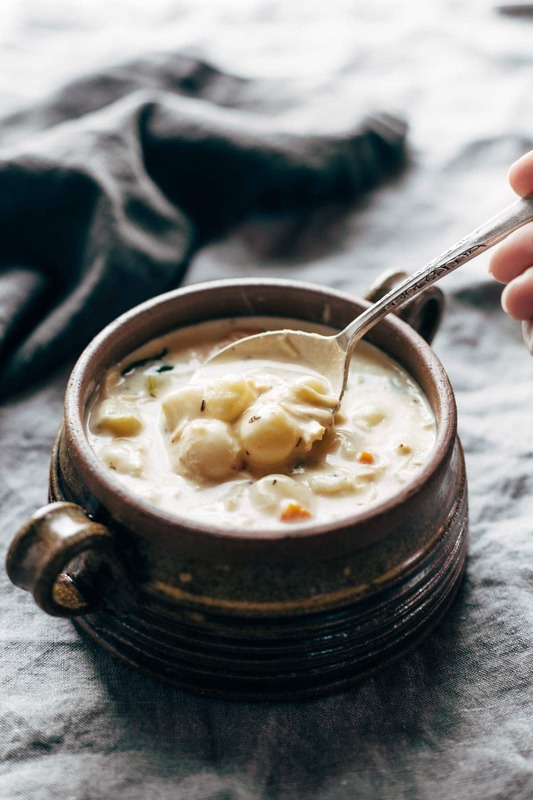 This recipe is so creamy and comforting it will make you want to throw on some sweatpants, curl up on your couch, and just watch the rain or snow fall from outside of your window. It’s absolute creamy perfection. You can use store-bought gnocchi for this family favorite. Pinch Of Yum explains how to perfect this recipe in just a few simple steps. 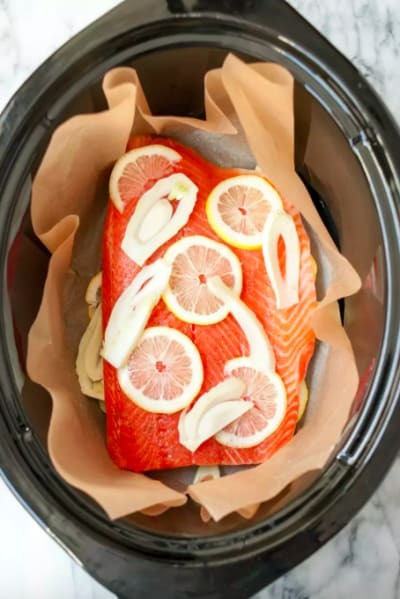 Did you know you could cook salmon in your slow cooker? Yep! You sure can! If cooking seafood intimidates you, then this is the perfect recipe for you – it takes out all of the work and worry. “Not only is the slow cooker fantastic for this kind of batch cooking, but it’s also an extremely good way to ensure tender, succulent salmon every time, no matter how many fillets you’re cooking,” The Kitchn says. Here is the full recipe. If you’re looking to be a bit more health-conscious, spaghetti squash is a great substitute for noodles and ground turkey is a wonderful substitute for beef – this tasty recipe does both and the end result is simply mouth-watering. 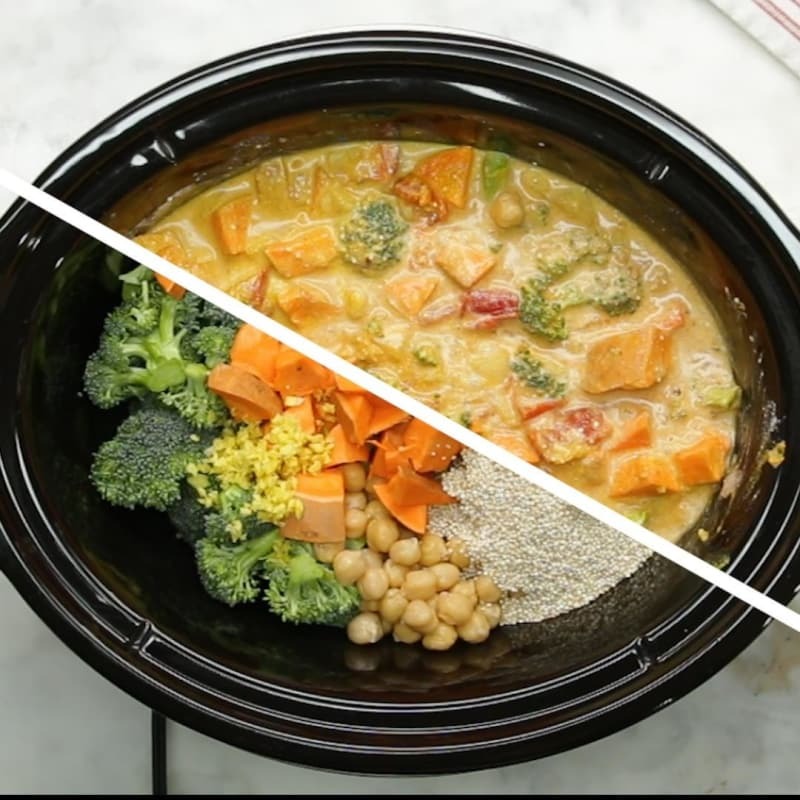 Half Baked Harvest shares how to make this recipe in an Instant Pot. Are you or your family members vegetarian? 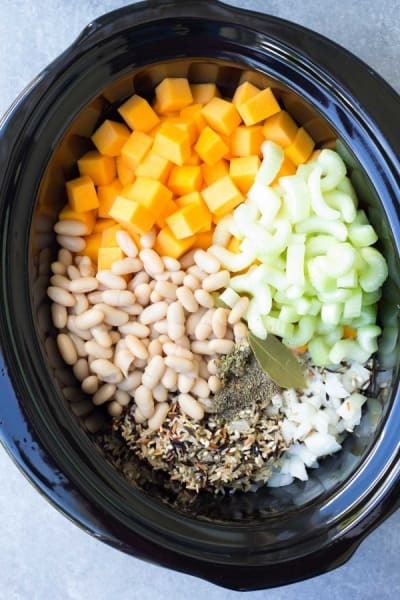 This slow cooker crockpot recipe is a perfect addition to your weekly rotation of meals. And it takes little to no effort at all! This veggie-based, gluten-free meal is hearty, dense, and great for when you’re lacking time or motivation. Get the recipe at A Spicy Perspective. There’s only one word to really describe this recipe – YUM. 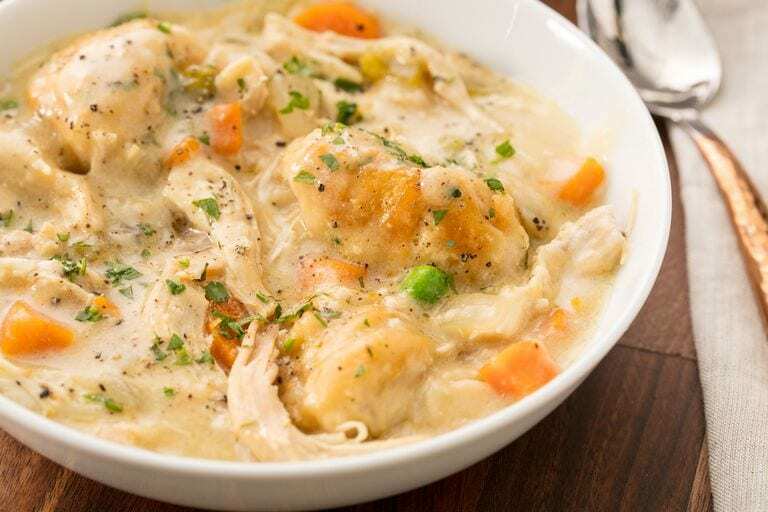 You’ll be hard pressed to find a food more comforting than chicken and dumplings. But, how do you make it in a slow cooker? “This recipe is broken down into two parts: cooking chicken and cooking biscuits. First, you lay boneless skinless chicken breasts over a bed of onion in your slow cooker, then pour cream of chicken soup and chicken broth on top. Once the chicken is cooked, it’s time to add the vegetables and biscuits. That’s it,” says Delish. Find out how to make it here. Simple, healthy, delicious – what more could you want in a meal? Oh, and did we mention insanely easy to make? It really doesn’t get any better than that. 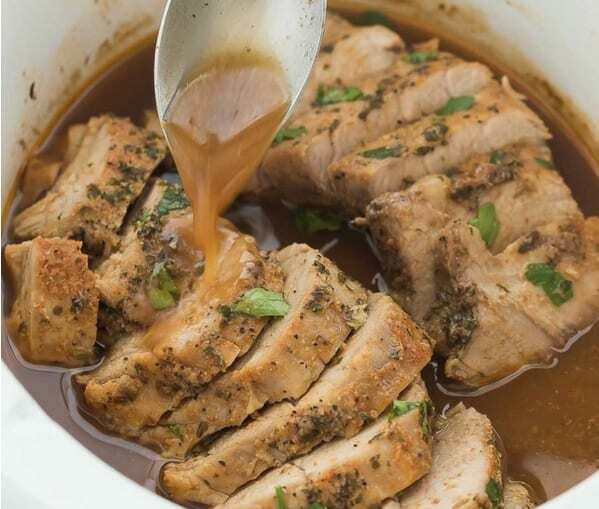 What’s great is that all the juices left at the bottom of the slow cooker make for a super yummy gravy/sauce to drizzle over the chicken and veggies. You can find the recipe at Tasty.co. 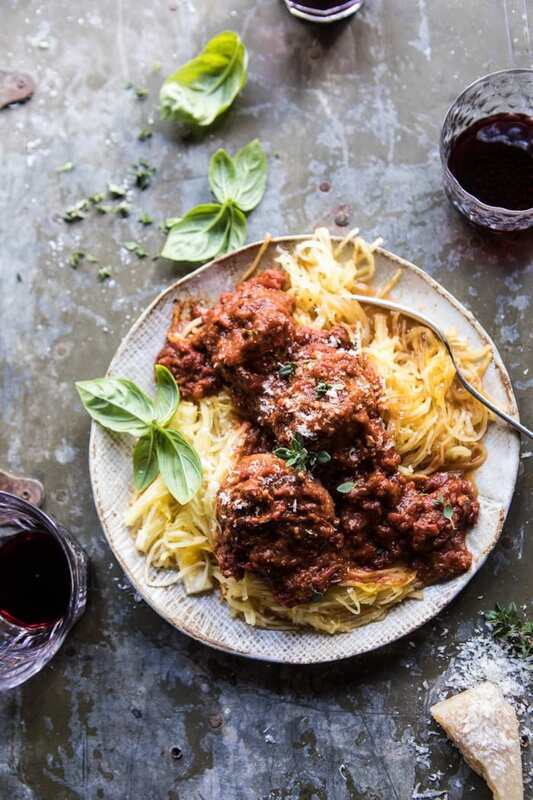 Spaghetti and meatball is already super easy to make, but as you’ll see in this crockpot recipe, it can be even easier and tastier. It’s a recipe that your family will quickly love and we’re certain it will be a frequently requested meal. 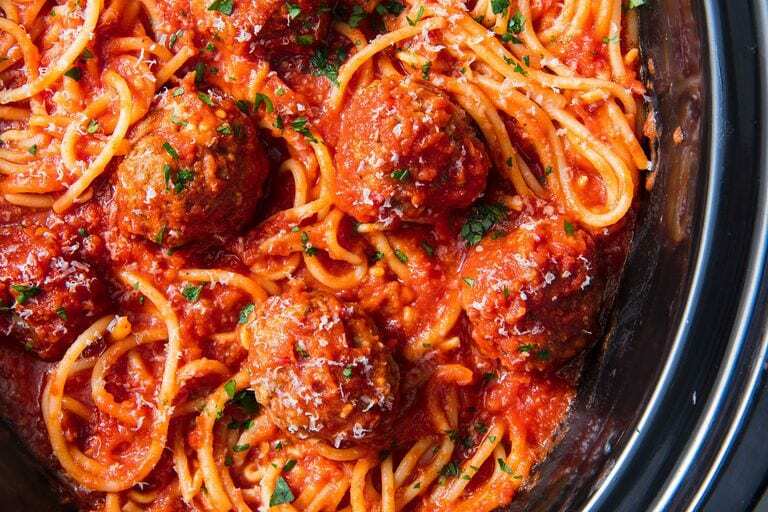 Delish shares the recipe and tips on how to make the perfect spaghetti and meatballs in your slow cooker. “This Slow Cooker Garlic Parmesan Chicken Stew is bound to be your new favorite winter comfort food! It’s hearty, creamy, cheesy and loaded with vegetables! The crockpot makes it an easy weeknight meal. Includes a how-to recipe video,” The Recipe Rebel explains on their website. Check out their step-by-step video and recipe here. 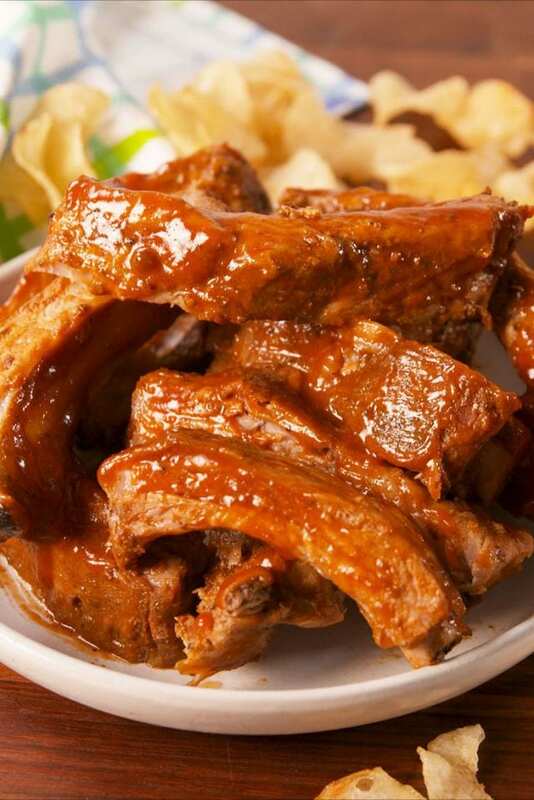 Low and slow is how you cook this delectable, finger-licking good Lousiana-style ribs. Plus, you’ll be eating them in the comfort of your own home so you can get as much sauce on your face as you want! No judgment. To make it a complete meal, you might want to steam up some veggies for a side dish. Delish has the recipe and a how-to video for you to follow. We’ve shared quite a few chicken and veggie dishes with you but if pork is what you’re working with – you probably want to give this mouthwatering dish a try. It requires very minimal effort but it is packed with tons of flavor. The honey balsamic glaze is absolutely to die for. The Recipe Rebel has this super delicious recipe for you. Who said dinner could be the only meal you could cook in a slow cooker? Breakfast can be prepared as well! All you need to do is throw all the ingredient into the crockpot before you go to bed, and you’ll wake up to a nutritious and filling meal! This is perfect for those that are short on time in the mornings. The Spruce Eats has the recipe. Fix it and forget it. That’s the name of the game when it comes to using a slow cooker – this is the epitome of one of those meals. And it turns out perfectly every time. It takes almost no time at all to layer all of the ingredients, then just let it cook away while you’re out for the day. Voila! Head over to Pinch Of Yum for the recipe. 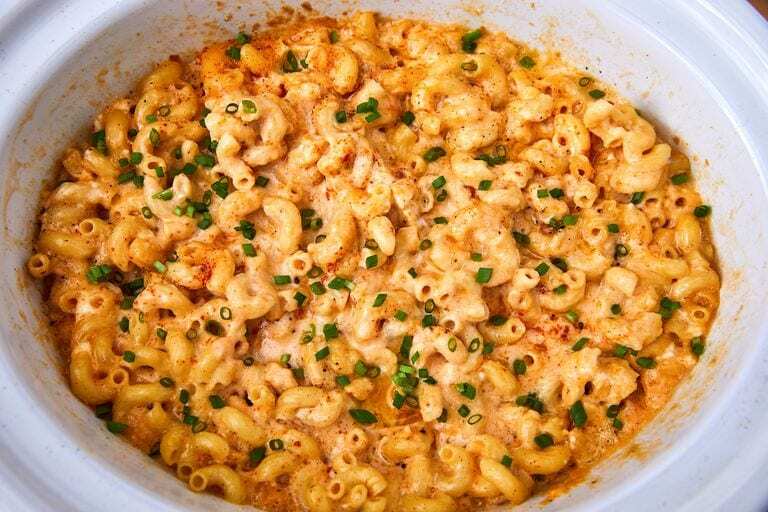 If there was ever a food that kids absolutely love and adore – it’s macaroni and cheese. If you’re having a busy night, don’t reach for the artificial box of mac and cheese with the mysterious powdered ‘cheese’ product. Just plan ahead and opt for a slow cooker version that tastes a million times better. 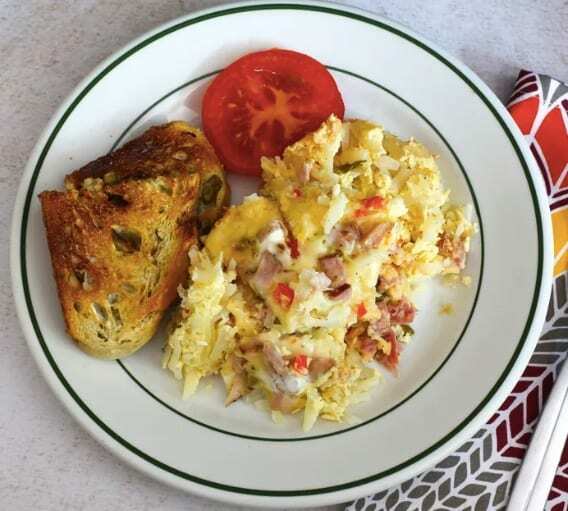 Delish has the recipe for you – you can also add hot dogs or pieces of chicken for a little bit of added protein. 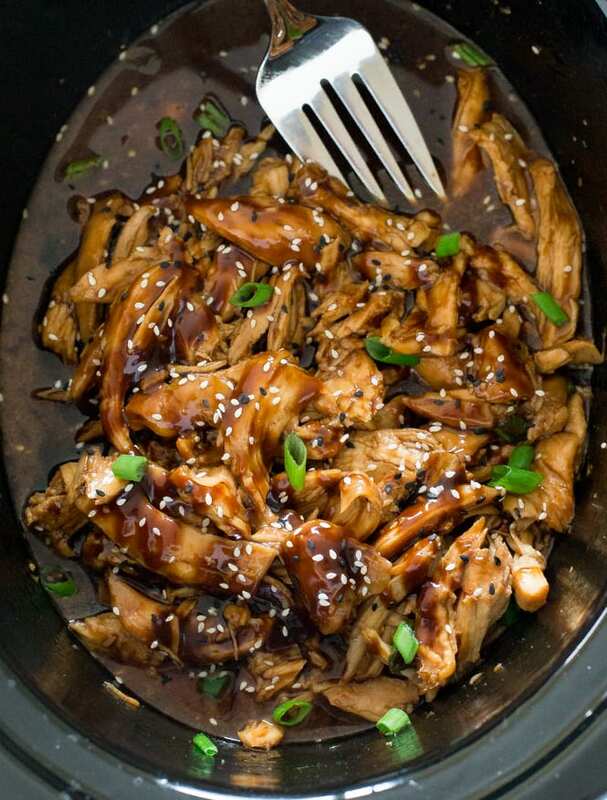 Chicken is so great to cook in a crockpot. The slow cook and a low temperature makes the chicken super juicy and tender. You can cook it with vegetables and potatoes to make the entire thing a one-pot dish. Aren’t slow cookers just amazing? 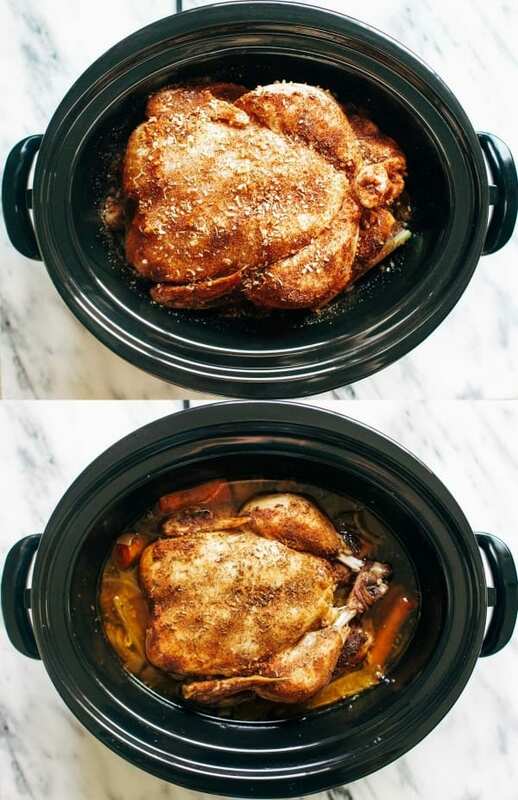 Pinch Of Yum explains how to get the perfect whole chicken by using your crockpot. 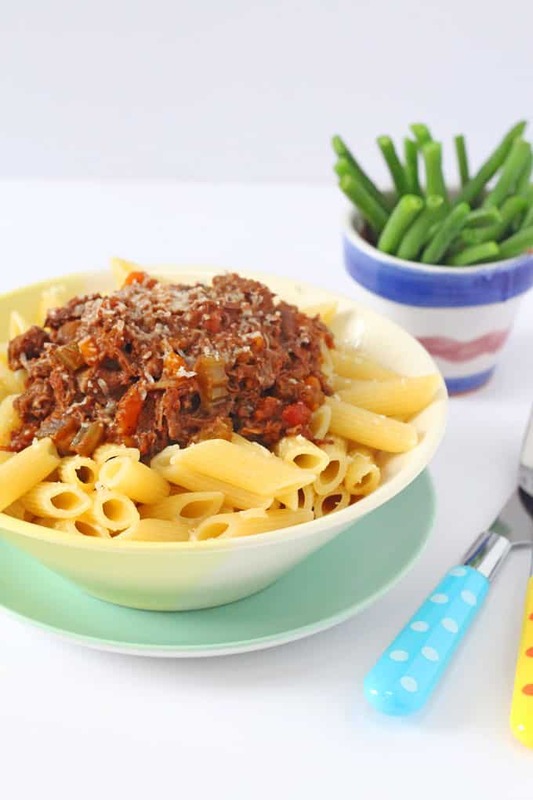 “This ragu recipe is too easy; simply throw the ingredients into the slow cooker in the morning and later that day you will have a delicious and hearty meal. You can use pretty much any cut of beef that you want. The cheaper the better in my opinion for slow cooking! 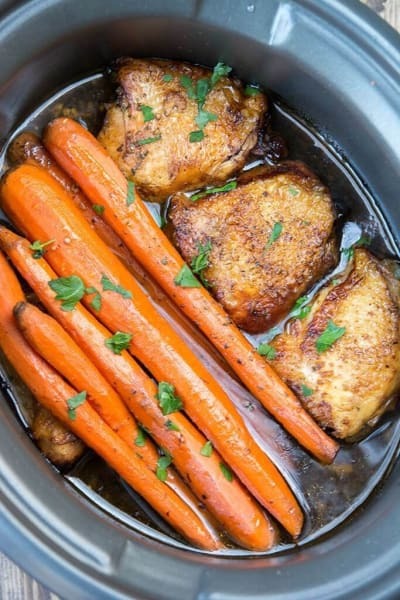 If you prefer to fry the meat before putting it in the slow cooker you can do that, but I don’t think it makes a difference to the taste,” My Fussy Eater blog says. My Fussy Eater has this recipe, and lots of others, on their site. Your kids are going to love the fact that you cooked this meal using soda – what a fun trick to get them to eat their protein! 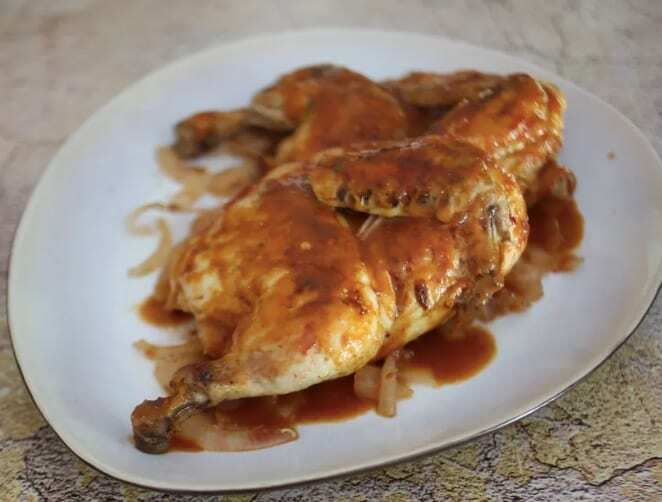 All you need for this simple recipe is chicken, onion, ketchup, and cola or Dr. Pepper. So easy. Then you just wait for the slow cooker to do its thing. This is another recipe from The Spruce Eats. Chicken Pot Pie is another comforting dish that seems to make everyone happy. This recipe is a fun twist on the classic, still comforting, just a bit healthier and much easier to make. It requires very little prep time and makes the entire family full and happy! Visit the Woman’s Day website for the step-by-step instructions. It’s almost impossible to find someone that doesn’t like bacon (if they don’t…they’re lying). 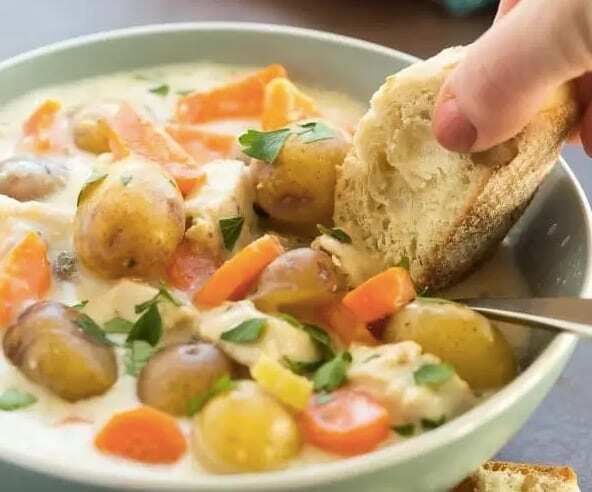 And kids also love ranch dressing, so this one-pot slow cooker meal is bound to be a major hit at the dinner table. It’s creamy, it’s filling, and it’s incredibly easy to make. After cooking it one time, it will surely be on your regular rotation. Funny Is Family has the full recipe. Stuffed pasta shells are the way to any person’s heart. All you need to do for this simple recipe is stuff the uncooked pasta shells, set them in the slow cooker, then walk away for a few hours. Meals like this were designed for busy parents! Woman’s Day explains how to make these stuffed pasta shells step-by-step.